This past winter really took a toll on my hair. Dry split ends are not a good look and I knew I had to do something to get my hair happy and healthy again. Since I always have a container of coconut oil readily available in my home and being a huge lover of coconut oil I thought what better than to create a yummy smelling, hair nourishing mask to take care of this mess of breakage and get my hair silky smooth again. Check out this recipe and get your hair on the mend too quicker than you can say "split ends be gone!" -Combine the oil and honey together in a microwavable bowl. -After your hair is completely covered in the mixture put on your shower cap and let the mask soak in for 30-40 minutes. -Wash the mask out in the shower using your regular shampoo and conditioner for super smooth and soft hair! This mask worked so well for my hair and I'm so happy that I used this treatment. It is definitely something that will be worked into my beauty routine moving forward! Have you tried this hair mask before? what can't coconut oil do? It is def awesome in every way! I actually just put coconut oil in my hair last night. I just rub it in my palm to warm it up then work it through, put my hair in a top knot then slept with it in, and washed out in the morning. Works wonders! That's a great idea too! It really does make a huge difference. It honestly works better than a lot of other expensive products out there that we've tried! Love it! 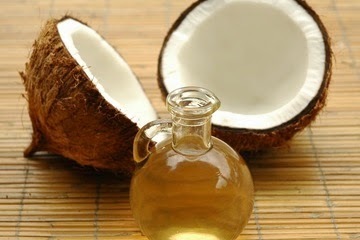 Coconut oil is simply the best!